If it’s not broken, don’t fix it. A good strategy for some things – like your vacuum cleaner, or lawn mower. But maybe not for everything – like your Medicare prescription drug plan. It’s that time of year again – the Medicare Annual Enrollment Period (AEP) – when you can make changes to your Medicare coverage, including your prescription drug plan (Medicare Part D). It’s possible that you may want to stick with your prescription drug plan because you feel it has provided you with adequate coverage. Or maybe you have the impression that it’s too complicated and time consuming to investigate other Medicare Part D options. But what if there’s a plan out there that could work better for you? Choosing the right Medicare prescription drug plan could result in significant savings. Therefore, rather than take the path of least resistance, it makes sense to look at your Medicare Part D options during the Annual Enrollment Period to see if changing plans is a good idea. As a physician you know that prescriptions for medications can change from year to year. Do you have new medications? It’s possible that your new medication(s) may not be on your plan’s formulary – the list of drugs your plan covers. If it isn’t, you could end up paying a lot more for your new medication than you expected. Has your plan’s formulary changed? It’s a good idea to review your plan’s formulary. Insurance companies sometimes move medications from one tier – or level of coverage – to another. If your current medication has been moved to a different tier you could be required to pay more for it – the higher the tier the more you have to pay. Have you moved or changed your pharmacy? Your out-of-pocket cost for drugs can also vary, depending on your pharmacy. Medicare Part D plans usually have “preferred” pharmacy networks. The pharmacies in those networks can provide significant savings over “standard” pharmacies. If you change pharmacies, you’ll want to find out whether they are a preferred or a standard pharmacy and what your cost will be for your drugs. What about the coverage gap? At this time, every Medicare prescription drug plan has a coverage gap – or what is referred to as the “donut hole”. When you and your Part D carrier have reached a pre-set amount of spending, the plan limits how much it will pay for the rest of the year – until you reach the next phase, when your carrier covers more of the costs. The rules pertaining to the donut hole are changing. For now, however, it’s important to understand that if you reach the coverage gap sooner – because you’re paying more for your drugs – your overall costs that year could be much higher. Medicare Part D costs and benefits can vary widely among providers. In addition to the above considerations, there are monthly premiums, annual deductibles, co-payment policies and rules of coverage that are different with different plans. Doing all the research and comparisons can be time consuming and labor intensive. This is probably the last thing you want to do in the midst of your demanding schedule. But there is a way to simplify the process and reduce the hassles of looking for a new plan: let a professional do the work for you. 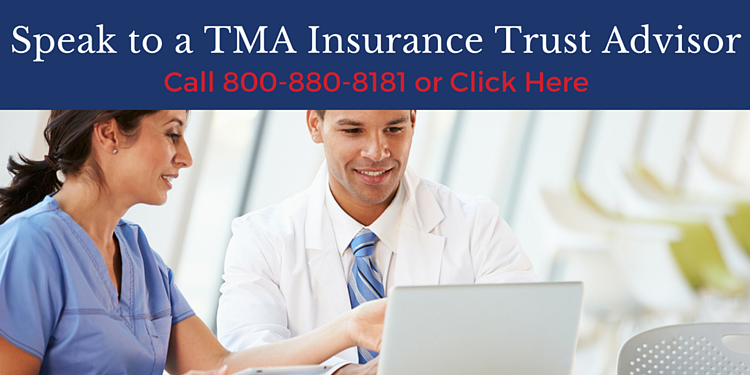 Your TMAIT advisor can collect your necessary information and obtain quotes from insurance companies for Medicare prescription drug plans that are available to you. They will tell you which of your prescriptions are covered. This highly personalized service is provided at no cost to you. We have years of experience helping Texas physicians sort through the maze of Medicare policies and plans. Our goal is to help you make an informed decision about the Medicare prescription drug plan that works best for you and your family. And we assure you that if your current plan turns out to be your best option, we will absolutely tell you so. Now is the time – during the Annual Enrollment Period – to have your prescription drug coverage reviewed by a knowledgeable TMA Insurance Trust advisor. Take advantage of this comprehensive and customized service. You could end up with a Medicare prescription drug plan that is the best fit for your needs.